Happy Be Late For Something and Eat Cheese Pizza Day! Since today happens to also coincide with a pretty well known holiday (Labor Day), I didn’t really have anything to be late for. But since I’m generally late for everything every other day of the week, I decided I had it covered. The other half of today’s holidays is National Cheese Pizza Day, which is perfect because I found an excellent score at Giant today. It's not delivery, it's DiGiorno! Did you know that the concept of pizza actually originated in early Greece where round, flat breads were topped with olives, oils, potatoes, and a variety of other things. It wasn’t until the 18th century when street vendors in Italy started selling plain flat breads coined “pizzas” . They had nothing on them, but were really cheap to make while being tasty and filling, hence the idea caught on. Considered peasant food, Queen Margherita caught wind of the tasty trend in 1889 and popularized the food for all classes. No wonder Bertucci’s has immortalized her with the Margherita pizza (this is actually quite popular in other places too). Pizza finally was introduced to the USA during World War II when American soldiers stationed in Italy tasted pizza for the first time! War…the only thing it’s good for. Anyhoo, even though it’s almost 10 pm my time, one thing I learned from grad school is that it’s NEVER too late for pizza. 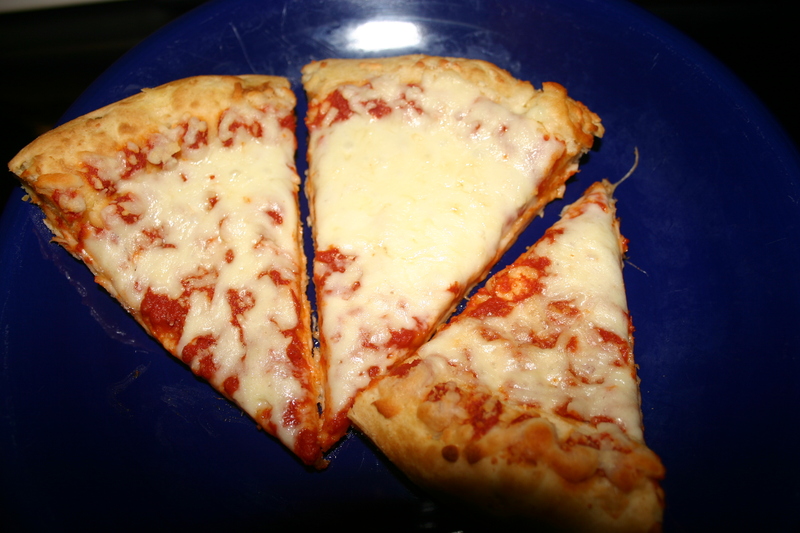 So quick, before midnight, go get yourself some cheese pizza and celebrate National Cheese Pizza Day! ← Happy Newspaper Carrier Day! I had pizza today but it wasn’t just cheese. Is that allowed?